Welcome to Max!! Nice ride! Got some wheels for ur car for sale. Look below my sig. ^^^i understand... but just in case your interested.. i have these for your car... and i'm selling them VERY cheap.. and they are staggered.. with a bit of a dish..!! just in case u wanted another set.. or a winter set..!! they are 2 weeks less than brand new..!! that car needs to be lowered, and the wheels need more lips. the suspension is pretty messed up so is the rest of the car. shocks and springs are at the top of my mod list. BTW, where can i get some good deals on shocks and springs? click reload and ask the fine supporters of this site. 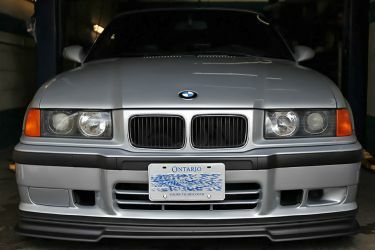 and/or come to bimmerforums.com and ask others feedbacks about the combos, you don't want to put something on and end up killing your kidneys.